High earners spend less out of pocket than middle-income enrollees. Insurance helped reduce high-income Medicare enrollees' out-of-pocket spending on health care services. Medicare enrollees in the highest income category spend a little more out-of-pocket on health insurance premiums of all kinds, and that helps hold down their average out-of-pocket spending on health care. 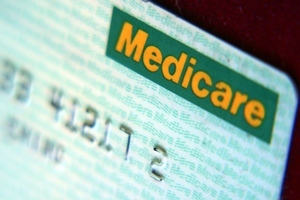 Analysts at the Henry J. Kaiser Family Foundation have reported that finding in a look at Medicare enrollees’ out-of-pocket spending based on Medicare program survey data. The analysts found that the 38 million people in Medicare in 2010 averaged $4,734 per year in out-of-pocket spending, or 44 percent more than what Medicare enrollees were averaging in 2000. The consumers who earned $50,000 or more in 2010 spent an average of $2,507 on health premiums of all kinds, including basic Medicare premiums, Medicare supplement insurance premiums, long-term care insurance (LTCI) premiums, and other types of health insurance premiums. The high-income consumers spent more than the overall average of $1,989 on insurance premiums in 2010, and more than members of any other income category. The money they spent on insurance helped them hold out-of-pocket spending on health services to $2,692, which was somewhat less than the average of 2,744 for all Medicare enrollees. Their total out-of-pocket spending was $5,199, or a little more than the overall average. The analysts also showed average and median figures for 2010 out-of-pocket spending. The table illustrates the big gap between average out-of-pocket spending figures for Medicare enrollees and median spending. An out-of-pocket spending average is the result of dividing all enrollees’ out-of-pocket spending by the number of enrollees. A median spending figure is a figure such that half of the enrollees spent more than that amount out-of-pocket and half spent less. In the Medicare program, because a few enrollees have huge bills, the average out-of-pocket spending amount was much higher than the median amount for every type of spending the analysts showed in the table. The average out-of-pocket spending for all enrollees in 2010 was $4,734, for example, and the median was just $3,312. The average for enrollees with incomes over $50,000 was $5,199, and the median was $3,934. The analysts found that spending on long-term care facility costs accounted for 18 percent of out-of-pocket health care spending. Spending on medical providers and medical supplies accounted for 14 percent, and prescription drugs for 11 percent.